The Chinese-Canadian solar manufacturer shipped 1.59 GW of panels in the latest quarter. Despite a 15.8% turnover decline, operating result and net profit both grew significantly. Capacity expansion plans for 2019 are now said to be under review. 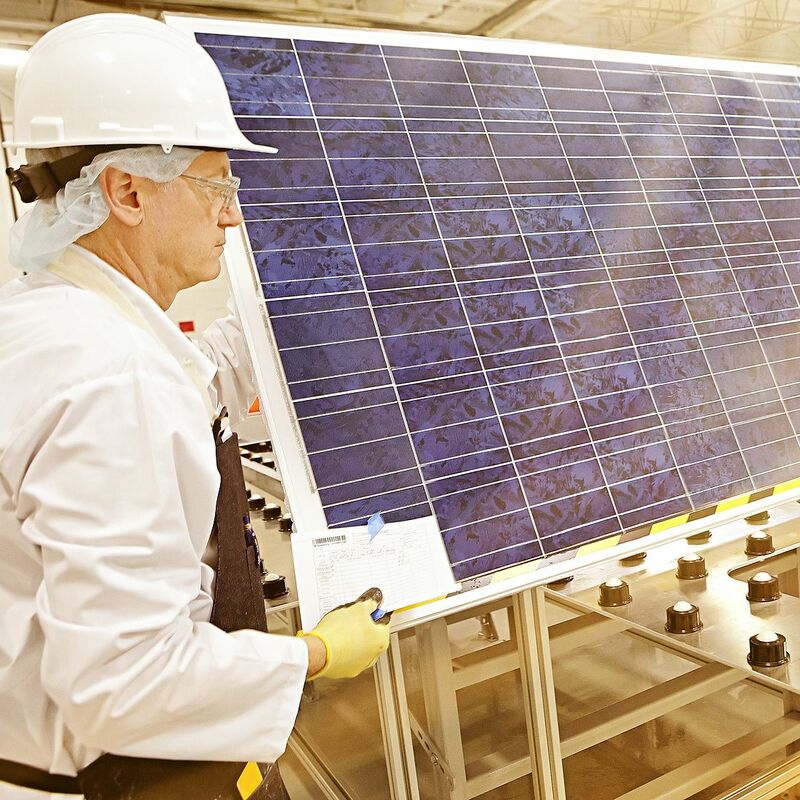 Chinese-Canadian solar module maker Canadian Solar Inc. reported a surge in profits and operating results in the third quarter of this year, despite a drop in revenue and shipments. According to its financial statement, sales dropped 15.8% from $912.2 million in Q3 2017 to $768 million in the same period of this year. Shipments recognized in revene also fell year-on-year from 1,782 MW to 1,521 MW, while total solar modules shipments for the quarter amounted to 1,590 MW. Canadian Solar’s operating result for the third quarter was $95.9 million – significantly up from both $53.9 million in the second quarter of 2018, and $57.8 million in the third quarter of 2017. Net result also improved considerably year-on-year, from $13.3 million to $66.5 million, and quarter-on-quarter from $15.6 million. “The third quarter was one of our most profitable quarters with net income of $1.09 per diluted share and a 26.1% gross margin,” said CEO Shawn Qu. “Our gross margin, excluding the CVD reversal benefit, was above our third quarter guidance, as we benefited from a slightly higher than expected module ASP, a higher margin project sale mix and ongoing cost controls across our operations,” added CFO, Huifeng Chang. In the third quarter, the company finalized the sale of PV plants totaling 103 MW. “The monetization process continues with the October sale of two solar power plants totaling 260 MWp in the U.S., and the expectation of further sales in China, India, the U.K. and Africa in the coming quarters,” said Canadian Solar in a statement released. For its manufuring business, Canadian Solar said inventory at the end of September was $322 million, which is $14.5 million less than at the end of June, while inventory turnover dropped from 77 days to 55 days quarter-on-quarter. “We have successfully maintained a healthy gross margin level, despite the headwinds, through product differentiation, operating efficiencies and raw materials cost reductions,” Qu continued. As for its capacity expansion plans, which envisage raising cell and module capacity to 7.1 GW and 9.64 GW, respectively, by the end of 2019, Canadian Solar said they are now under review and subject to change based on market conditions. At the end of 2018, cell and module capacity is expected to reach 6.25 GW and 8.7 GW, respectively. In the PV project development business, the company’s operational portfolio reached 1.14 GW, while its late-stage project pipeline hit approximately 2.9 GW. In its guidance for the fourth quarter, the company said it expects shipments to be in the range of 1.67 GW to 1.72 GW and revenues between $690 million and $800 million. For full fiscal year, for which no shipment outlook was given, total turnover is forecast to reach between $3.53 billion and $3.64 billion.